When it comes to renewable energy, Germany is at a different level than most countries. Not only to they produce a big part of their energy from renewables, but a big part of that comes from villages! 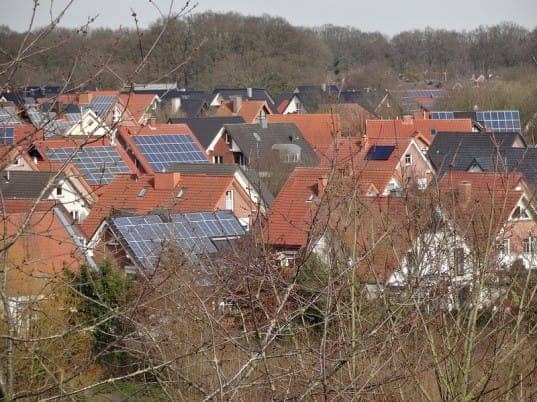 In 2013, villages produced 74% of their energy with renewable energy, and now, they’ve shattered another national record: in the first part of 2014, 31% of the entire country was powered by renewable energy. A new report from the Fraunhofer Institute states that Germany produced a whopping 81 TWh of renewable electricity in the first half of 2014. Nuclear and coal usage dropped, while solar and wind increased by 28 and 19 percent respectively. Gas is also dropping more and more, now providing a mere half of what it did in 2010. “The reoccurring records for renewables in Germany demonstrate the incredible success of Germany’s EEG legislation,” says Max Hildebrandt, renewable energy industry expert at Germany Trade & Invest, the country’s foreign trade and inward investment promotion agency. But even though Germany is making remarkable progress, it has to be said that the country still gets most of its energy from coal. For the first half of 2014, brown coal produced 69.7 TWh, hard coal produced 50.9TWh, and nuclear energy produced 45.0 TWh. But the leap they’ve made is huge, and it seems fairly safe to say that in the not-so-distant future, renewables will start to directly compete with coal. Hopefully, the rest of Europe (and subsequently, the world) will emulate Germany’s progress.